A challenging task in the past was detection of faces and their features like eyes, nose, mouth and even deriving emotions from their shapes. This task can be now “magically” solved by deep learning and any talented teenager can do it in a few hours. By Peter Skvarenina, Machine Learning & Automation Business Owner. Maybe you were wondering how you can place funny objects on faces in real-time video chats or detect emotions? 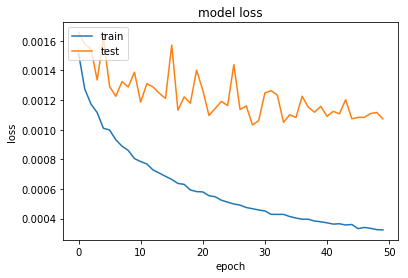 I’ll show you one possible approach here utilizing deep learning as well as skim over one older approach. A challenging task in the past was detection of faces and their features like eyes, nose, mouth and even deriving emotions from their shapes. This task can be now “magically” solved by deep learning and any talented teenager can do it in a few hours. I will show you such an approach in this post. 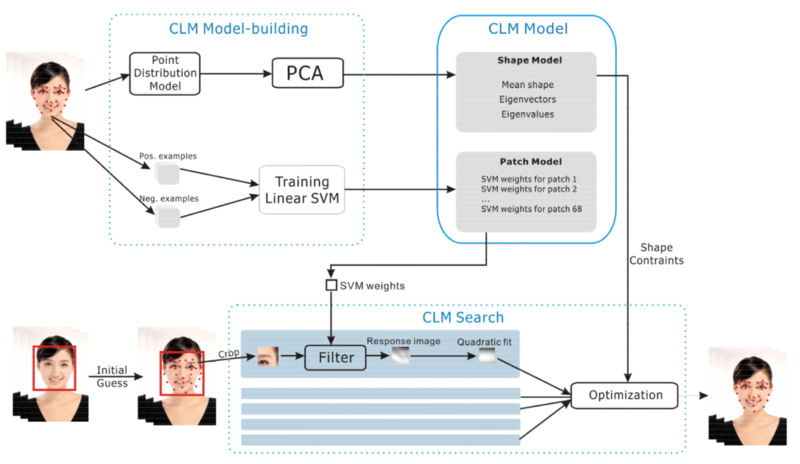 If you were like me and had a need to perform face tracking (in my case to transfer one’s gestures from a web camera to an animated character), you probably found out that one of the best performing algorithms used to be Constrained Local Model (CLM), as implemented by e.g. Cambridge Face Trackeror its newer OpenFaceincarnation. This is based on splitting the detection tasks into detecting shape vector features (ASM) and patch image templates (AAM), and refining the detection using pre-trained linear SVM. Instead, we can use a very simple convolutional neural network (CNN) and perform detection of key-points on parts of images we expect to contain faces. For that we need to have a training dataset though; we can use the one provided by Kaggle for their facial key-points detection challenge, containing 15 key-points, or a more complex MUCT dataset with 76 key-points (Yay!). 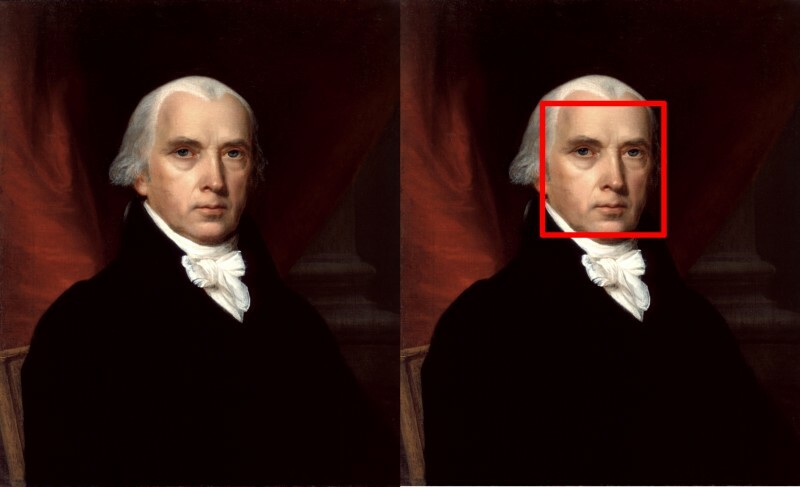 Obviously, having quality training datasets is essential here and we all should commemorate poor undergrad students that had to sacrifice their time and effort to annotate bunch of faces to be allowed to graduate, so that we can perform these magical tricks easily. The dataset contains greyscale images with 96x96 resolution and 15 key-points, 5 per each eye and 5 for mouth/nose positions. 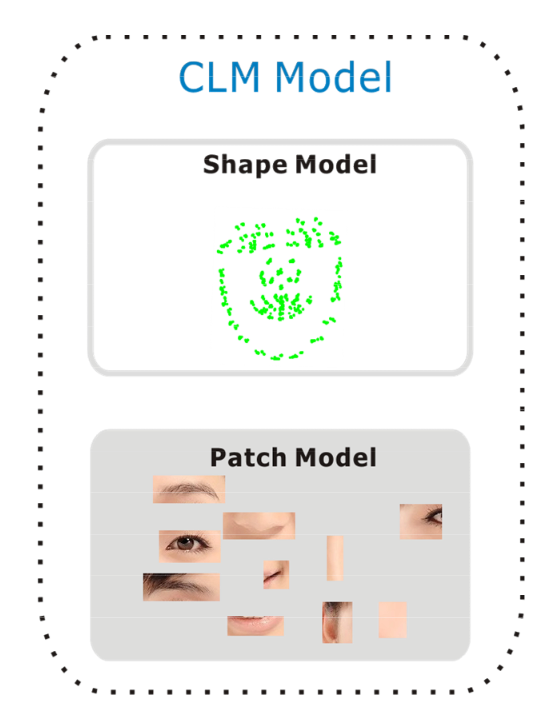 For an arbitrary image, we first need to detect where in the image the faces are; aforementioned Viola-Jones detector based on Haar cascades can be used (and if you look at how it works, it resembles CNNs a bit). Or if you are more adventurous, you can use Fully Convolutional Networks (FCN) as well and perform image segmentation with depth estimation. This chunk of code returns all possible face bounding boxes on an image. Next for each bounding box returned by Viola-Jones we extract the corresponding sub-images, convert them to greyscale and resize them to 96x96. And they will become input to our finished CNN for inference. The CNN architecture is super trivial; a bunch of 5x5 convolutional layers (3 in fact, with 24, 36 and 48 filters each), then 2 more 3x3 convolutional layers (64 filters each) and 3 fully connected layers (with 500, 90 and 30 nodes) in the end. 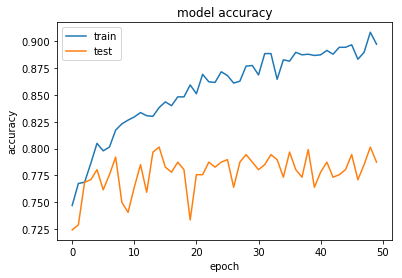 Some max pooling to prevent overfitting and global average pooling to reduce number of flatten parameters. The output will be 30 floating point numbers denoting a sequence of x, y coordinates for each of 15 key-points. You might want to choose Root Mean Square Propagation (rmsprop) optimizer and Mean Squared Error (MSE) as your loss function and accuracy metrics. aaand that’s it! 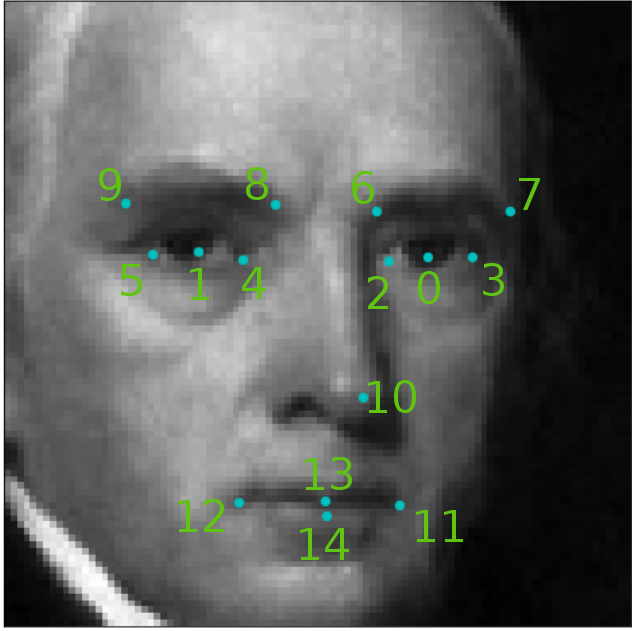 You have now mastered the art of detecting facial key-points! You might find all of this way too easy; if you want a challenge, move to 3D and look at how Facebook and NVidia are tracking faces. place annoying objects on faces during video chat such as sunglasses, weird caps, mustaches etc. 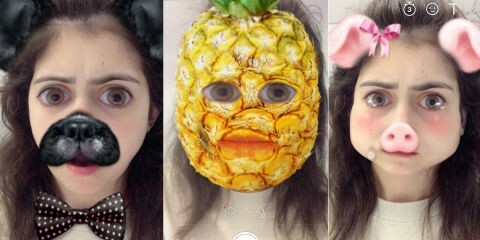 So now you know how to make your own awesome video chat filter! How about writing one right now? Bio: Peter Skvarenina is a machine learning & automation business owner. How Convolutional Neural Networks Accomplish Image Recognition?